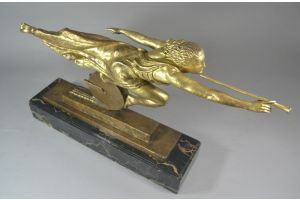 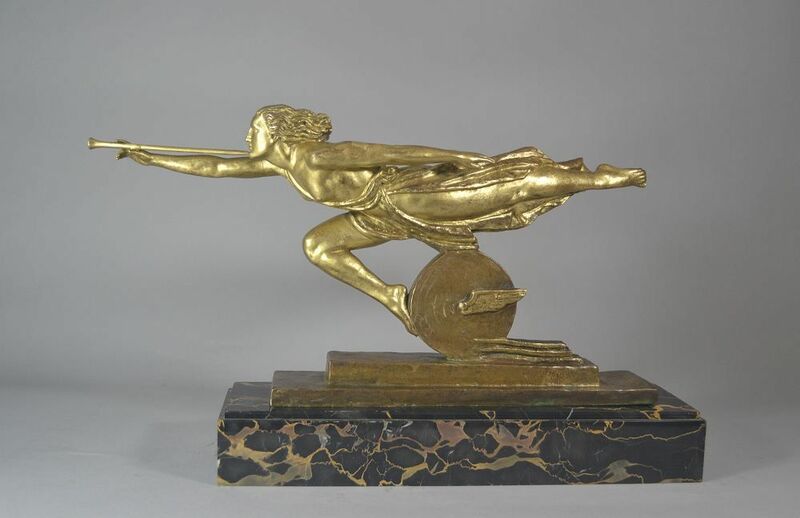 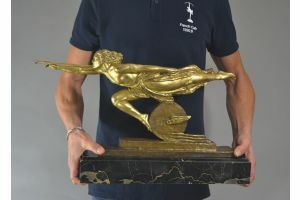 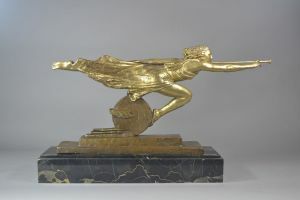 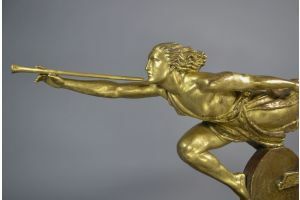 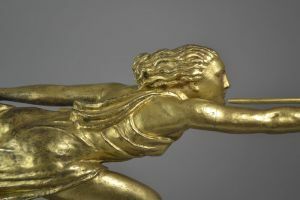 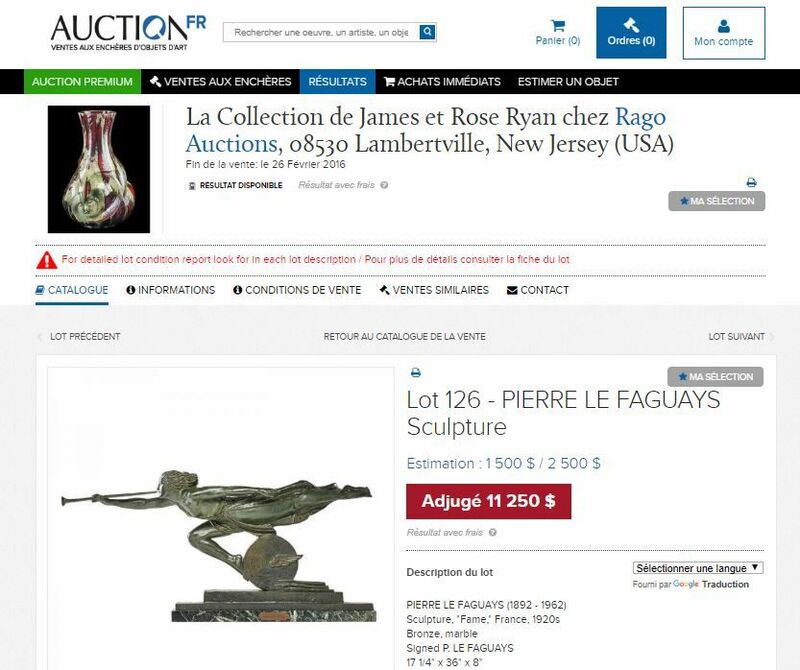 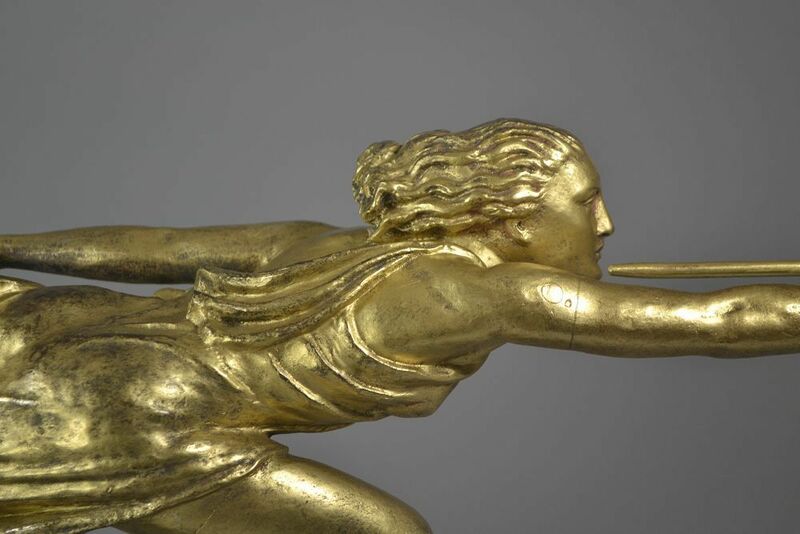 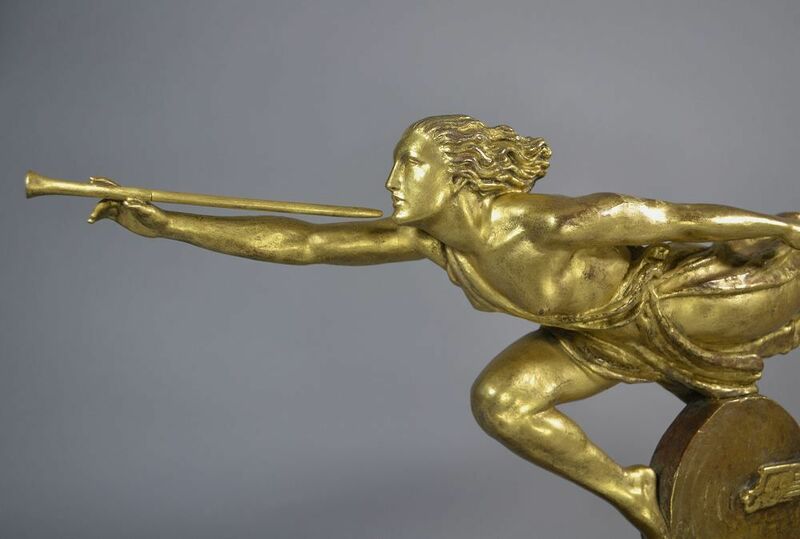 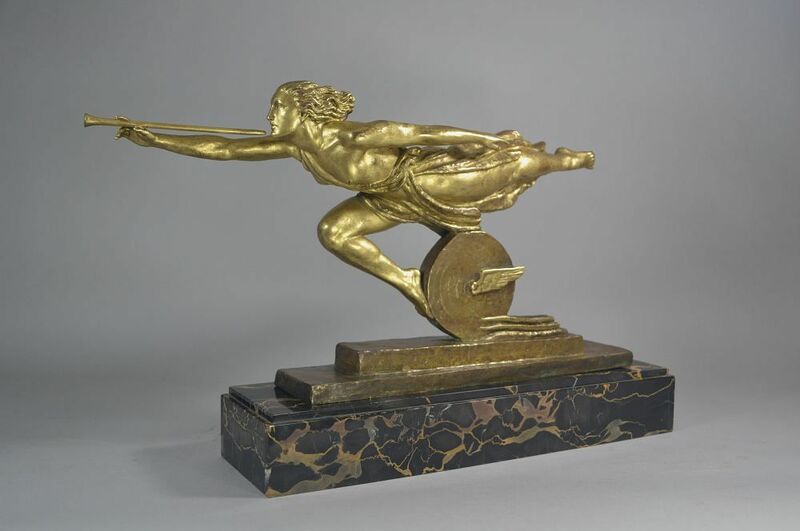 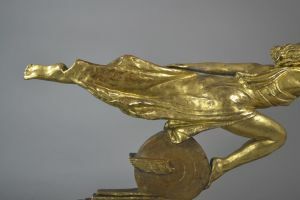 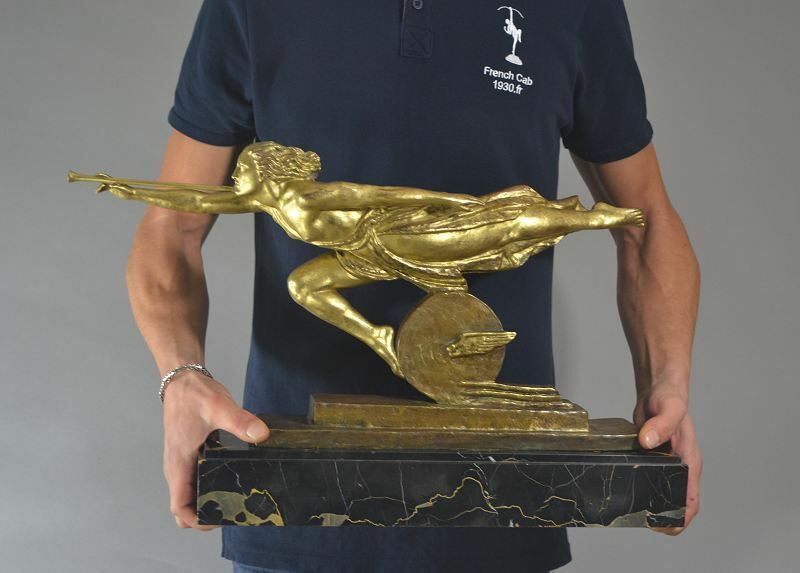 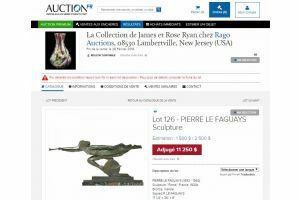 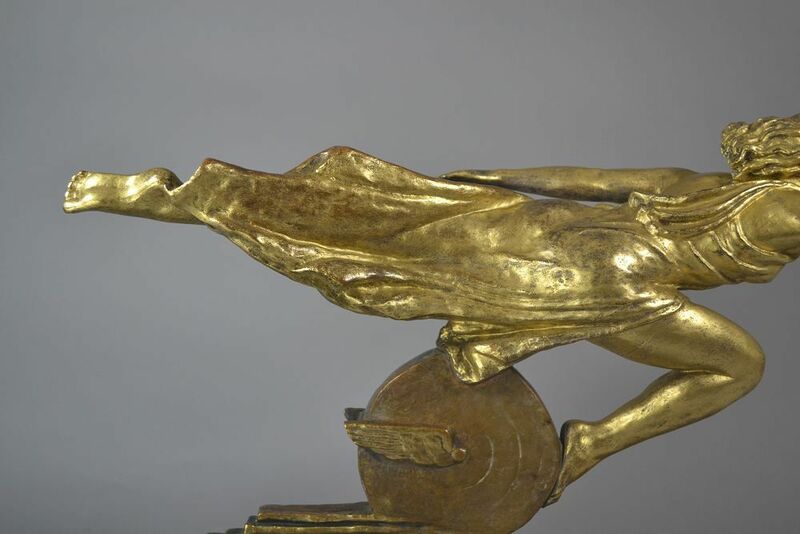 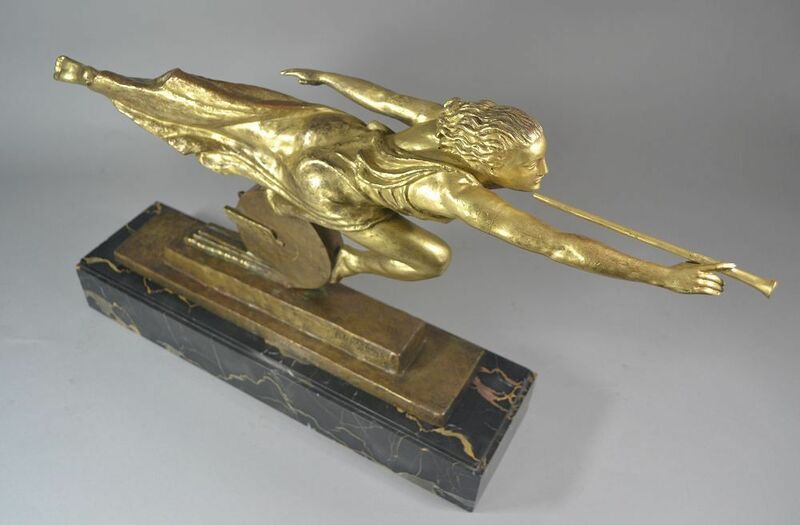 A rare patinated bronze sculpture on portoro marble base. 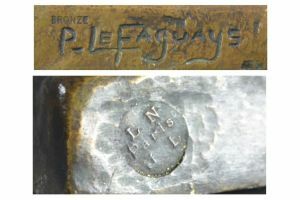 Signed in the bronze. 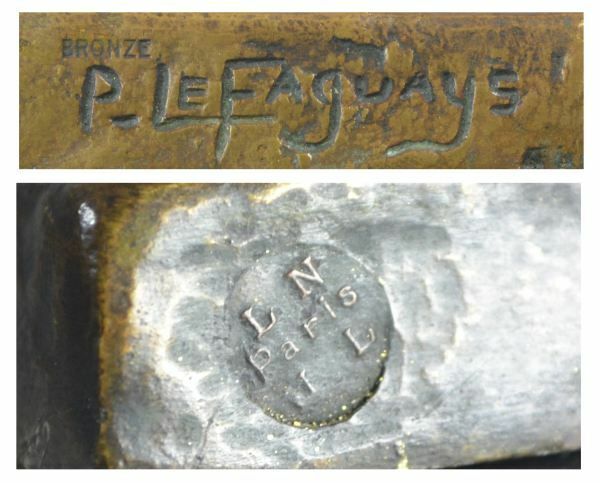 Foundry mark "LNJL Paris" for Les Neveux de Jules Lehmann.